There's Amanda Bynes's obsession with Drake, and then there's mine on the level right below. If I could have only two artists on my iPod, it would be Drake and Frank Ocean. I'm in love with how easy it is to relate to his music. I heard once that they would rather hear about memories than enemies , rather hear what was or what will be than what is, rather hear how you got it over how much it cost you, rather hear about finding yourself and how you lost you ,rather you make this an open letter about family and struggle and it taking forever about hearts that you've broken and ties that you've severed, no doubt in my mind that will make them feel better. When you're going crazy at the club and 'Started from The Bottom' comes up, it's like- I'm in here with my beautiful friends, the best DJ ever AND we've ordered 3 bottles of Dom Perignon with 3 more on the way. Forget that this is courtesy of our parents money or next month's rent, WE HAVE MADE IT. And at that moment, you're basking in your delusion and it feels effing amazing. Dude, I've always wondered how people who have seen each other naked can then act like complete strangers the next day? You saw my stretch marks in all their glory means that we should at the very least, spend the whole of the next week texting each other! Don't you think? There, I just put myself on the list of '10 worst people you can have a one-night stand with'. Not the most refined sentence. But, I tweeted this the other day. Have you noticed it too? Where in hell are all the men?! I love that this statement is open to numerous interpretations. This is how I see it- I love myself enough to be able to know what true love is and what I deserve from you. A love that is not competitive, jealous or overly-reliant. We both have our individual lives despite the fact that we've built a life together. This life loves me and it loves you simultaneously. Because of that, you won't have to teach me how to love myself. Exactly how I feel about my blog. Word? It's interesting to hear how celebrities deal with stardom. Not being rich, I think of how many issues wouldn't be if I was. I feel like if I had $50 million in my bank account, we'd be doing dinners, holidays and constantly living the good life. It's crazy to think that a lot of money can change family relationships for the worse. I guess biggie wasn't lying about Mo Money, Mo Problems. DUHHH. Look what is happening to Blackberry. This acts as a lesson in never getting too comfortable. Drake has pushed mainstream hip-hop into corners that many are afraid to explore for fear of being considered as less masculine, forcing hip-hop to entertain introspection. He never made a song that I couldn't relate to, even if marginally and it doesn't take 20 listens to decipher his punch lines. It's his honest reflections on the most human things in life that his fans appreciate the most- the way he articulates feelings that you thought it was only you who felt. 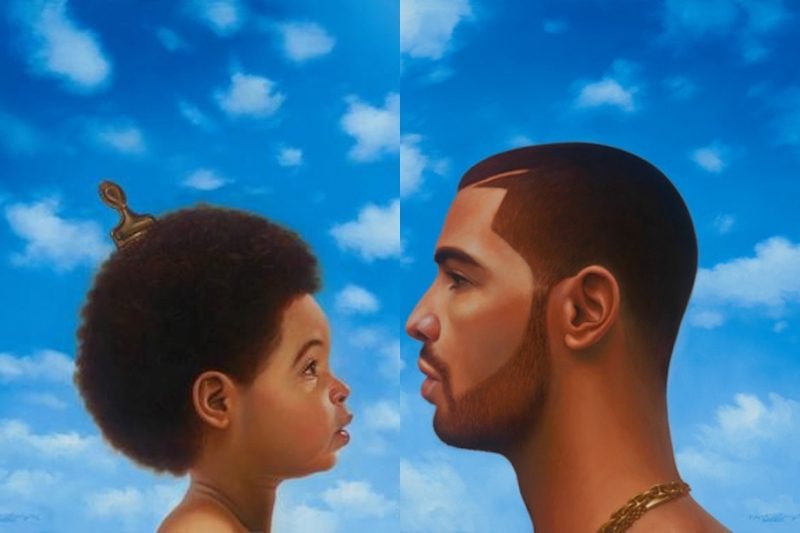 Notebook | Tagged: Best Quotes in Nothing Was The Same, Drake, Nothing Was The Same | 10 responses. Loovveeeeee drake with all my heart!! Thank you for putting this up, I might actually do mine.